STP101 Stepper Motor Controllers are the perfect choice for small to medium stepper motor applications where step positioning to 32 bits is required. They are divided into four functional blocks (Embedded Microprocessor, Stepper Logic, Motor Driver Circuit, and Serial Line Drivers). The embedded microprocessor gives it the ability to keep track of an absolute motor position. Among other things, the position is a signed 32-bit number. 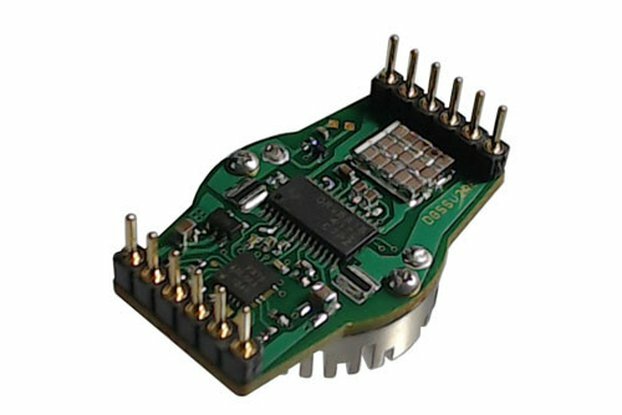 The stepping logic is supplied by an SGS Thompson Stepper Chip with built-in current limiting and step logic. 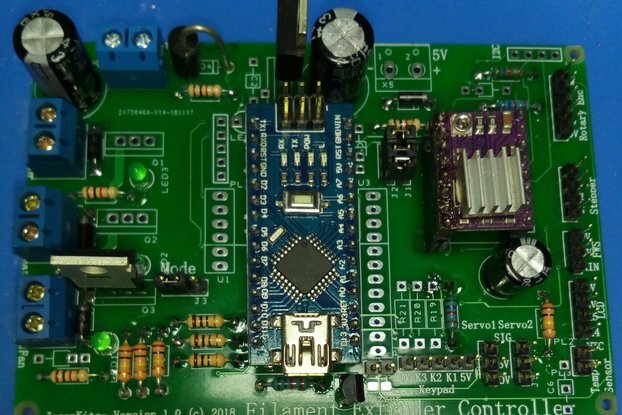 The driver chip supplies up to two Amps per stepper motor winding. 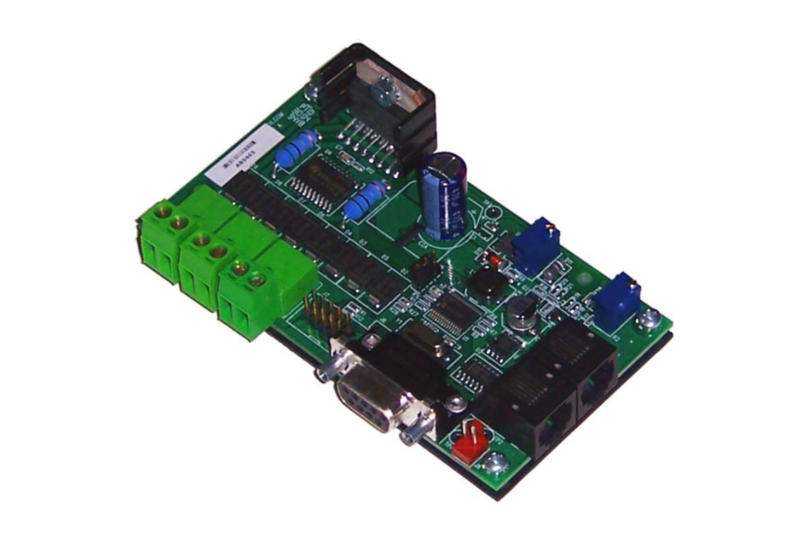 The STP101 Stepper Motor Controllers have the ability to drive both RS-232A and RS-485 serial lines. The STP101 accepts commands in the form of serial data from a host computer and outputs amplified control signals for a bipolar stepper motor. 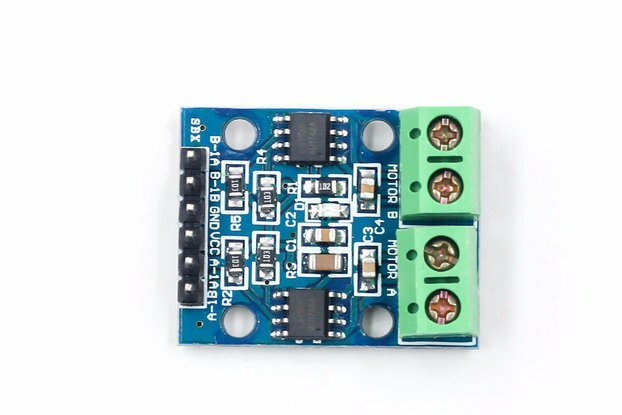 The four general purpose I/O lines can be used for detecting home positions or motor limits. In addition, two of the I/O lines can be configured as 8-bit analog to digital converters. 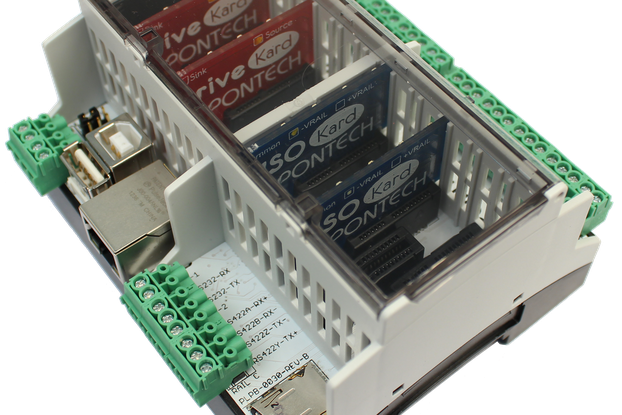 The addition of a PONTECH PP232-485F you can take advantage of the STP101 Stepper Motor Controllers on board RS-485 multiple drop network connections for addressing up to 255 boards. Cued commands can then be used for controlling two or more axis systems. Dimensions: 4.3" x 2.4" x 1.1"